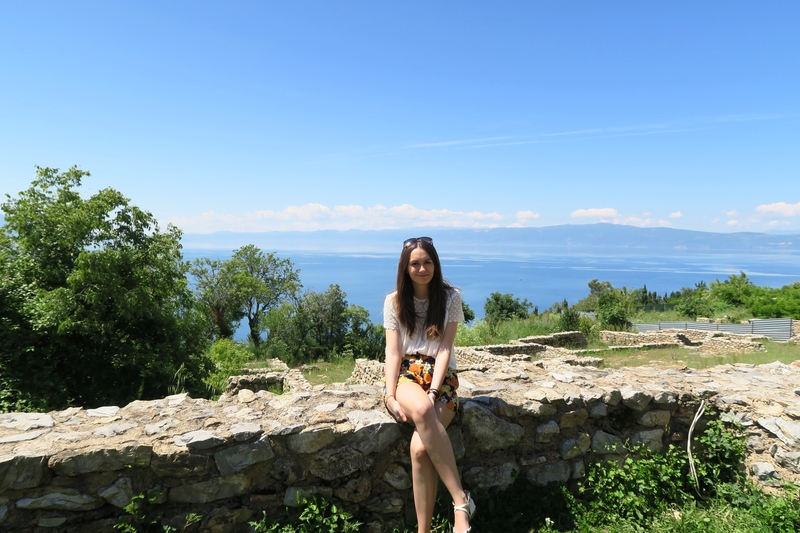 I recently popped over to Macedonia (Ohrid to be specific) and I bloody loved it (warning: there is an over-use of the word “bloody” through the entirety of this post. Ohrid really is just bloody brilliant). 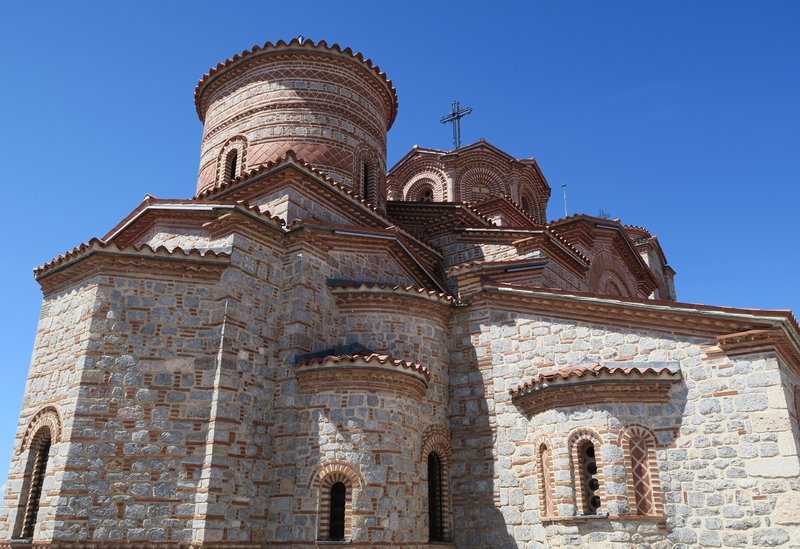 So, here’s a few things you should know about visiting Ohrid, Macedonia. 01. It’s absolutely bloody beautiful. 02. The people are unbelievably friendly. We stayed at Villa Kale and the owners were a lovely husband and wife duo. When we handed our passports over on arrival, they immediately noticed that myself and my friend were born in 1994, the same year as their daughter. From that point on, we were treated like family, given tips and tricks about the area and always asked if we were okay. It was like having a second mum and dad. 03. Want to meet more friendly faces? Head over to The Gladiator Restaurant, another family run establishment. Food in Macedonia is cheap and The Gladiator is probably one of the most expensive places to eat in Ohrid, however it’s definitely worth it if you’re not sticking to an uber-strict budget. Arrive early evening to ensure you get one of the 3 balcony tables so that you can watch the sunset over the lake! My friend is a vegetarian and whilst there was nothing on the menu that would be suitable for her, the owner was excited and created a platter of yummy vegetarian goods for her. 04. One more friendly face – Marta Pejoska – we stumbled across Marta’s gorgeous little jewellery studio on our walk back to the hotel one evening and we couldn’t be happier with our discovery! Marta makes incredible filigree jewellery and is SO lovely – we could have chatted to her for hours. Make sure you check out her studio! 05.You can’t exchange money to Macedonian Denar or vice versa outside of Macedonia. You should bring some Euros to the country to help you get by (larger items such as long taxi journeys and hotels can usually be paid in Euros) but then you should head to an ATM as soon as possible to get some Denar! 06. It’s super cheap! I mean really really really cheap. 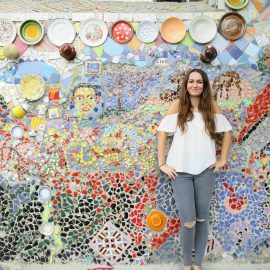 Read my post “Budgeting for Ohrid, Macedonia” to find out how much money you might need for your trip! 07. Visiting in “off-season” won’t mean you are visiting a ghost town. I read so many articles that tried to scare me from visiting outside of June to September. We visited in mid-May and it was great! Relaxed, sunny (most of the time!) and not overcrowded – perfect! If you’re looking for a party however, you’re probably better off visiting in summer! 08. 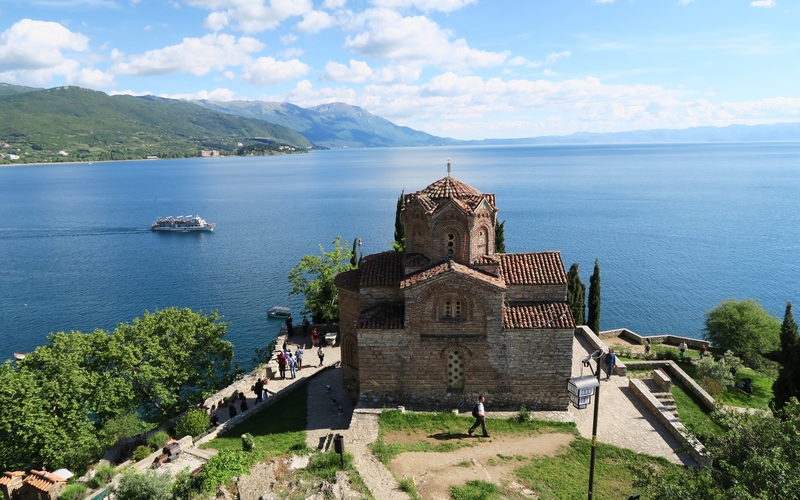 Macedonia is rich in Greek, Roman and Ottoman history, so there is plenty to see and do in Ohrid! An ancient fortress, a Roman amphitheatre, a gorgeous national park, hundreds of churches – what’s not to love! 09. 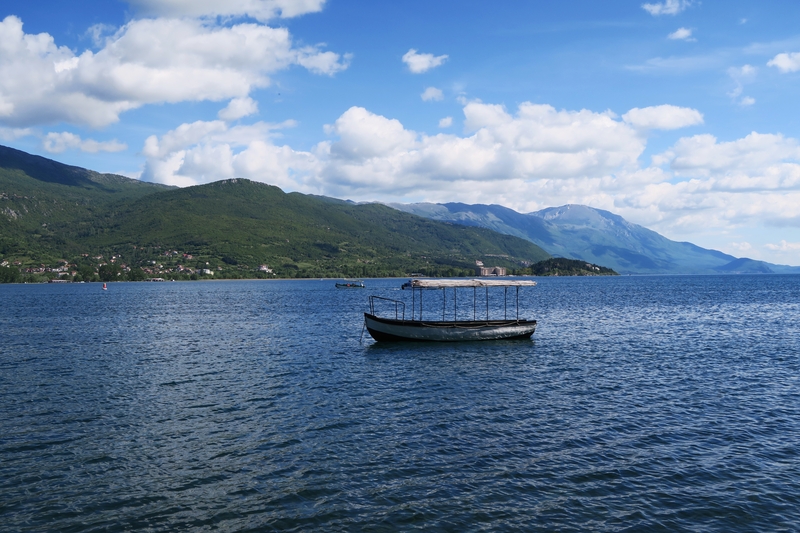 Lake Ohrid is supposedly the oldest and deepest lake in Europe (estimated 4 million years old and 940ft deep)! It was given UNESCO World Heritage status in 1979, so you know it’s going to be a beautiful place! 10.Something that I think makes Macedonia that little bit more beautiful is that it is the only country to get independence from Yugoslavia without shedding a single drop of blood. It remained entirely peaceful throughout the wars of the early 1990s and gained independence in 1991. 11. Macedonians are relaxed, don’t expect that bus or boat to be at the scheduled time. Or maybe expect the scheduled time to move unexpectedly at the last minute. Maybe I experienced this more because I wasn’t visiting in peak-season, but oh well, it makes for the adventure! 12. Ask your hotel/hostel how much a taxi journey from A to B should be. Taxi drivers are more likely to try and rip-off a tourist. Make sure you know how much a journey should cost and barter your way down to that price! 13. You should go. You will absolutely love it. It looks absoluetly stunning there! My parents almost booked a trip there the other week, and I was so jealous but the timings weren’t right though so they never ended up going! Hopefully next time, I’ll be invited haha! It sounds like a lovely country to visit! The owners of the accomodation you stayed at sound SO nice! It’s always great when you go away somewhere and you’re treated like family/friends. It sounds like you had a great trip.